Few could predict the political quake which shook Illinois Democrats on Primary Day '86, when two hand-picked Dem candidates for statewide office lost to candidates aligned with fringe extremist Lyndon LaRouche. The gubernatorial aspirations of former U.S. Sen. Adlai Stevenson - who had come historically-close to beating Gov. Jim Thompson four years before - were crushed before the General Election even began. Stevenson had nailed his Party’s nod early, then chose State Sen. George Sangmeister as his running mate. Candidates for governor and lieutenant governor ran separately in the Primary, but together in the General. Stevenson recruited Aurelia Pucinski - daughter of legendary Chicago war-horse Roman - to take on GOP Secretary of State Jim Edgar. But these posts weren’t on most Dems’ minds. The battle between Mayor Harold Washington and “Fast Eddie” Vrdolyak raged (see Gallery #17 - "Council Wars"). Statewide races featured marquee names. It would be U.S. Sen. Alan Dixon’s final win. Three future governors: Edgar, George Ryan, Pat Quinn. 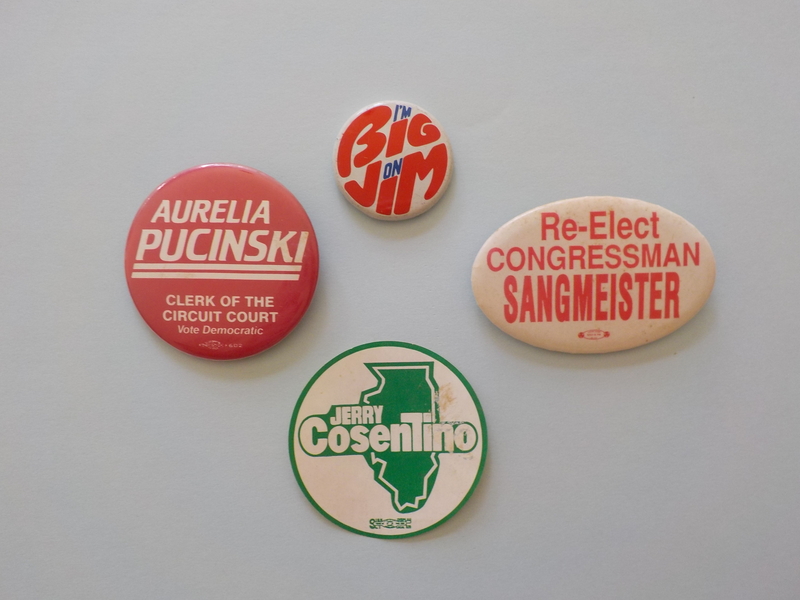 Mainstays of Illinois politics: Burris, Hartigan, Cosentino, Jim Ryan, Oberman. Titans of the House: Rosty, Hyde, Price, Yates, Annunzio, Crane, Lipinski the Elder, Durbin, Evans, Michel and - despite his name - the colorful Ken Gray. Few noticed the ticket’s top. Except two young activists with vanilla names - Mark Fairchild and Janice Hart - whose previous political experience consisted mostly of standing in Daley Plaza in the rain yelling about AIDS quarantine camps. Disciples of Lyndon LaRouche - a peevish perennial Prez candidate with cultish followers - Fairchild and Hart ran for Lite Governor and SOS respectively on a platform of laser defense, executing drug dealers and something to do with World Bank. On a rainy March Election Day, Fairchild topped Sangmeister by 13,000 votes (about one per precinct statewide). A LaRouchie would be Stevenson’s running-mate. Thus began the unraveling of Adlai’s hope to be a giant-killer after his heartbreaking ‘82 loss. 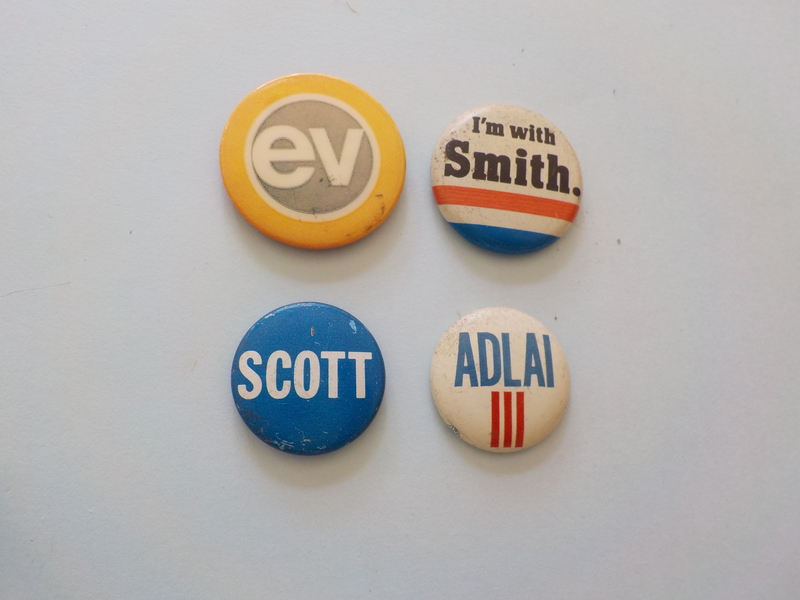 Now Adlai’s only path was to “exit” the Democratic slate, form a nominal slate of “Solidarity Party” candidates backed by Dem pooh-bahs (including a son of another party war-horse Mike Howlett), gather 25,000 signatures to be on the ballot under a “Solidarity” banner and win in November. He did all but win. Volunteers, fundraising and credibility dried up; Big Jim outspent Stevenson 3-1, who still got 40% of the vote. How did this disaster happen? Dems were focused on Council Wars and down-ballot contests. “Pucinski” and “Sangmeister” sounded too “ethnic” or “urban”. “Hart” and “Fairchild” sounded like apple-pie and unicorns. 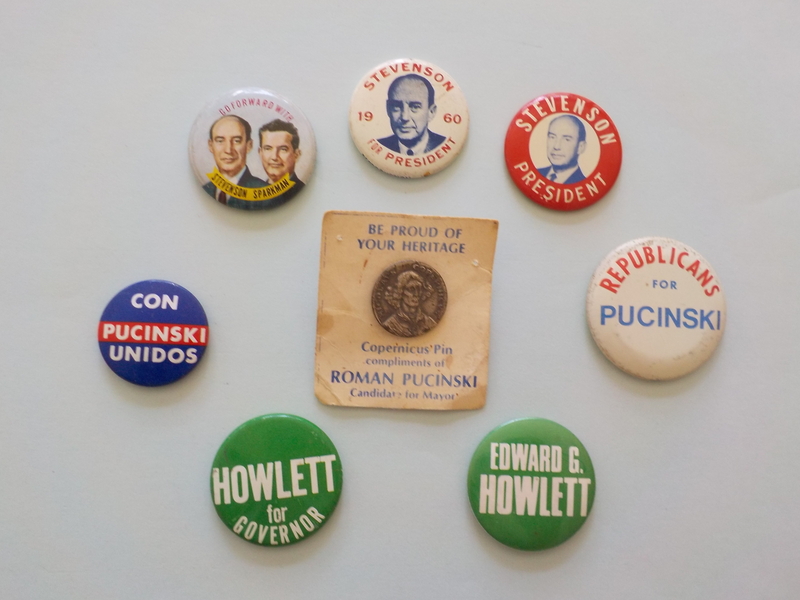 Sangmeister and Pucinski were seen as lackluster campaigners (as was Adlai). Sangmeister was unknown outside of Will County. Progressives distrusted Pucinski the Elder. Off-year turn-out, rain, voter disenchantment. The incident showed how vulnerable elections can be to fringe influences. And it reminded candidates of the #1 Rule: Don’t take your base for granted. 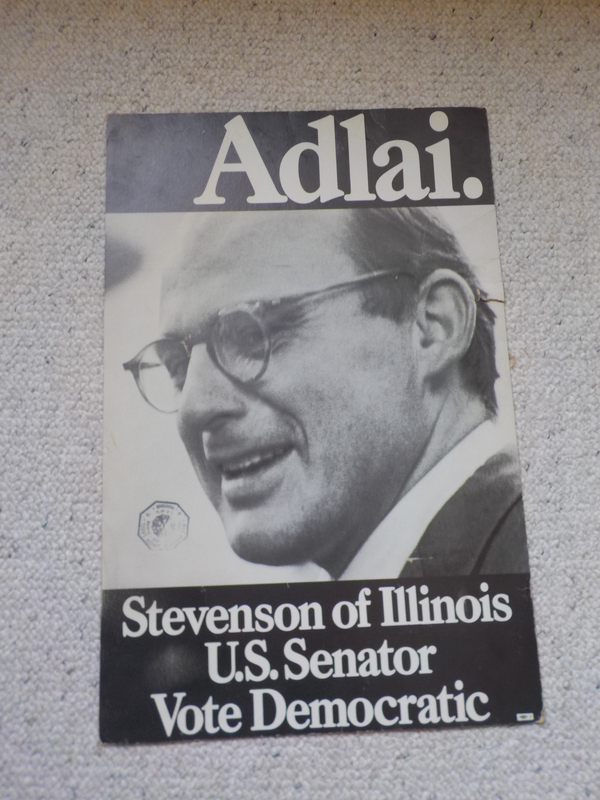 In 1964, Adlai III won an Illinois House in the infamous statewide “bed-sheet ballot” (in which this author’s grandfather was sadly ousted from the House.) 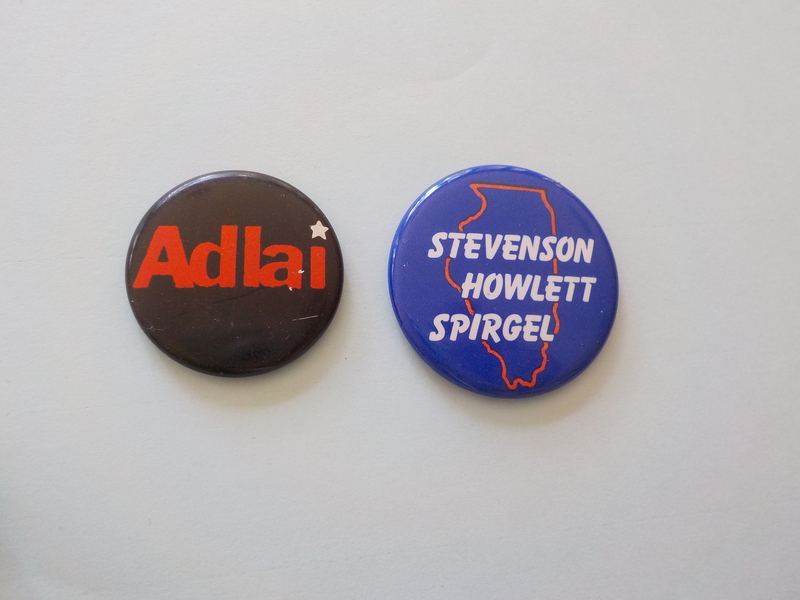 In ‘67, Adlai was elected as one of the youngest Illinois Treasurers in history (succeeding the disgraced Bill Scott (see Gallery #22 -BUSTED! Statewide Pols). In 1970, he walloped Ralph Tyler Smith in a special election to succeed U.S. Sen. Everett McKinley Dirksen.